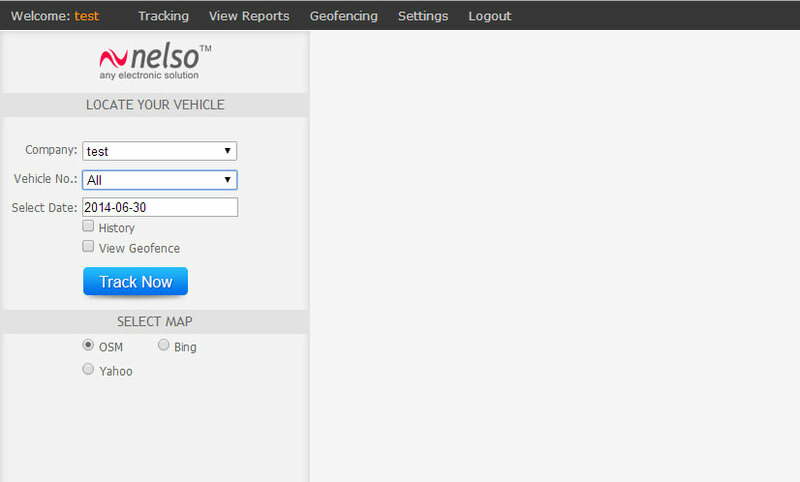 Sign up free to view our tracking application demo at https://nelsotech.com/register.php by providing all required information. All input fields are mandatory. After successful registration user will get a verification mail in his/her mail box. If this mail does not appear in your Inbox then please check Junk/Spam folder and click on the link provided in this mail for verification. Now go to our tracking application site http://www.gps-track.in and log in with your User ID and Password which you used at the time of registration. 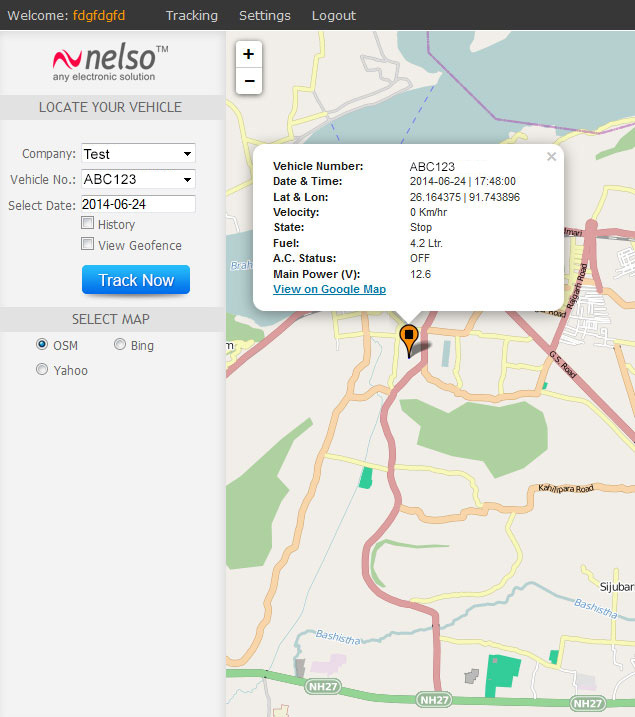 After logging in to the Vehicle Tracking Application you may see the demo of few vehicles. For that you have to select "Company" and "Vehicle No." from the drop-down list of sidebar and then click "Track Now" button. Now you can see a marker on a map in right side which is the last location of this vehicle. If you click on this marker then a popup window will appear with full information regarding this vehicle. If you want to check the rout of the vehicle through which it traveled over the day, Start or Stop Time and Position, total distance traveled etc. then check the "History" check box and then click "Track Now" button.